Do you want to live once more the Circle tour? Do you want to live again these magic moments? Go on downloads section and get for free the Bon Jovi concert in Lisbon, Portugal which took place at Parque De Belavista on July the 31st, 2011. Just click on the icon and download it. It 's 100% FREE. The duration is 2 hours, 23 minutes and 15 seconds and the format is .FLV. Recomended player is VLC. 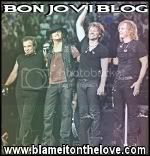 It 's a very good opportunity to see again our favourite band at its best on one of the best concerts of their latest tour and to increase with this downloaded concert your Bon Jovi archive. 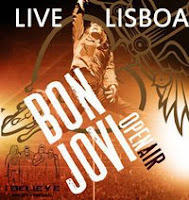 We remind you that we 've created the Bon Jovi live in Athens, Greece DVD and you can get it from our store or from ebay. For more info feel free to contact us.